I don't know how many of you will find this post helpful, but it is one of those topics which I have always struggled to manage in my own life. Saving is a crucial part of everyone's life. I have always struggled to budget due to not having self-control when it came to purchasing items. Every month on pay day I would end up spending my wages in less than a week! Then I would be left with nothing for the next 3 weeks until next payday. While at University, I have learnt budgeting is an important aspect of life, otherwise having no money can lead to depression, stress and cause health problems. I have been through it all. Living away from home meant I had to rely a lot on my parent's money due to only qualifying for a student loan which wouldn't even cover my student accommodation. I am lucky my parents paid for the remainder of my accommodation as well as helped me with my expenditures. I took a gap year before uni and in all honesty, I didn't expect to come to uni as I loved working rather than studying. As a last minute decision I came to uni and I, therefore, had a car to pay for, petrol, insurance, mot, tax, mobile phone contract, and credit card payments. These were my essential monthly expenditures which I already had, then when I moved to uni, I ofc brought those with me. Moving from a full time paid job to a part time job made me realise how short of money I was. I was not able to just go out for dinner whenever I wanted to, I couldn't just purchase whatever I wanted and on top, I had to pay for food for myself. I worked part time during the first two years of uni, I tried to do as many hours as I could over holidays and weekends. However, I managed to save nothing. For example, during summer before the second year started my MacBook broke, so I had to use all my wages on purchasing a new one. I wanted to join in with my friends so my wages would go towards dinner and going out. 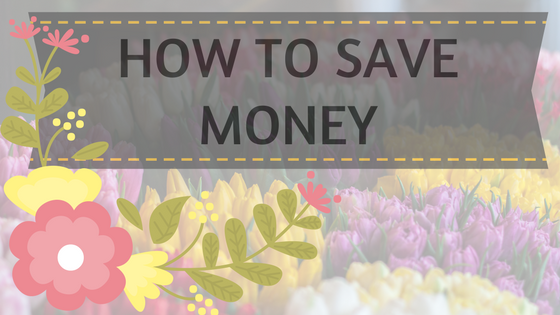 During my final year of university, I learnt how to save and became more serious about saving and here are my tips which hopefully will help you all. Have a motive to save for - for example, now I am coming towards the end of my university I know I will be purchasing a house whether that is in the next year or two. Therefore I need to save up for a deposit. A house is my motive. If this is your motive too, think about a Help to Buy ISA, I would recommend Barclays due to 2.27% interest and you get it monthly. Open a savings account and set up a standing order from your current account where your wages come in. Make sure the standing order goes out on the day you get your wages because then you won't see it and you won't realise its there. Open an account which gives you a good rate of interest. For example, Nationwide offer a Flex Direct account where they give you 5% interest on savings of up to £2,500 based on a monthly £1,000 deposit. You can use £1,000 as a standing order from your parents account say on the 1st of each month and then return that back to their account as a standing order on the 8th. I am basically trying to say you can use one lot of '£1,000', and make it go back and forth as I know I certainly don't have £1,000 to deposit each month. Does that make sense? Another savings account which I recommend is the Halifax fixed rate savings, I believe that gives 2% interest per year but you can only deposit up to £250 a month. For me this works perfectly as I don't have more than £250 to save every month, some months it's only a £100, but that doesn't matter because it will eventually add up. One advantage of this account is that you can not withdraw any money unless you go into the branch and close the account. For me this is a positive as my weakness is transferring money all the time however, this could be a disadvantage for some. Shop wisely - I used to buy foundations after foundation and, now I make sure I use one up first before purchasing another one. Makeup also have an expiry date so bare in mind that. If you have credit cards see if you can transfer it to an interest-free one. If not make sure to pay it off before you start saving otherwise you will always find yourself paying more money in interest rather than gaining from your savings. Mobile phone contracts - I have realised I do not need the latest phone each year! I used to pay £50+ each month for my iPhone but, in first year of uni I kept my iPhone 6 and went on a sim only contract for £15 a month. It's only when I got a job where I could afford to pay more I upgraded to the iPhone 7 plus. If you don't trust yourself with money give it to someone else who you trust. For me, that's my parents. If I give my mum the money I know she will save it for me and it helps me from taking any money as I won't be able to access her accounts! Try and save half of your wages each month, I know it's easily said that done. They say you should at least have 3-6months wages saved up in savings in case of emergencies. Don't purchase something if you do not have the money to buy it up front. Unless its interest-free on a credit card and you are 100% sure you can pay it off before the offer runs out. I have said this before and will say it again, look for discount codes online before making any purchase as 90% of the time there will be a code available! If you're like me and you love your designers then open a different account and keep aside £20-£50 a month or whatever you can afford to spare and then when it adds up go and treat yourself! When it comes to food shopping do a weekly or two weekly shop rather than every two or three days as that works out more expensive. Don't forget to make a list of the items before you go and make sure you are not hungry and shopping! If you go out for lunch while at work check to see if there are loyalty cards. I go to Subway every Friday as a treat and I use the SubCard and get double points. I have about 4 free Subs which are available on my card! And finally...be positive about saving and say to yourself you can do this! If there are any tips which you have and has helped you then don't forget to share them!